I must admit that this caught me surprise as I was unaware of this wonderful product until last Friday. Also, don’t ask me to pronounce her surname. Jane Ní Dhulchaointigh is the inventor and CEO of Sugru, the world’s first mouldable glue. Originally from Ireland, Jane studied at the Royal College of Art in London, where she had an idea that led to the first version of Sugru in 2003. While there, she imagined a world where this magic material existed and set out to make it a reality. Six years and 8,000 lab hours later, the formula for Sugru was complete. Made in London, Sugru launched in December 2009 and its community of users has continued to grow, reaching millions of customers in more than 160 countries. Ní Dhulchaointigh is passionate about promoting a culture of creativity and resourcefulness, and sees it as an antidote to the throwaway mindset. Her mission is hitting a chord with the growing number of people looking to live more sustainably while doing what they love. Sugru has received recognition from Time magazine as one of the 50 Best Inventions of 2010 and it has been dubbed “21st-century duct tape” by Forbes. 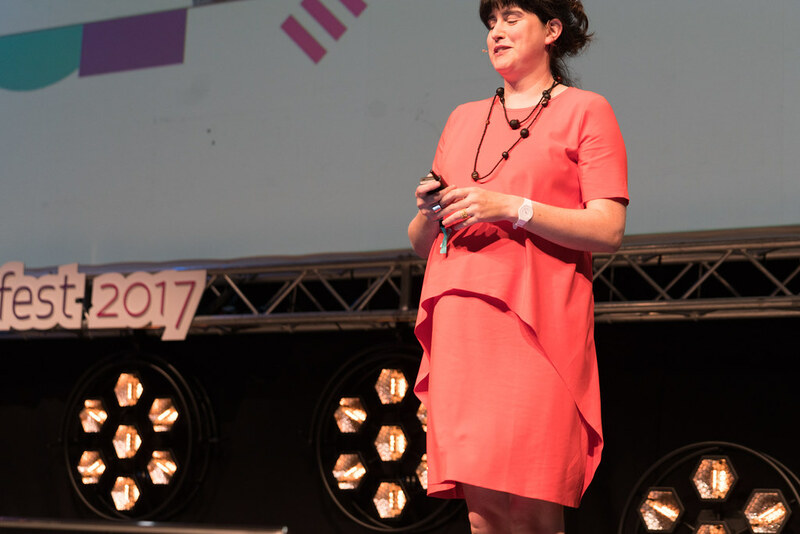 In 2012, Ní Dhulchaointigh won the inaugural London Design Festival Design Entrepreneur award, while The Observer listed Sugru as one of Britain’s New Radicals: a UK business changing the world for the better. CNN also named the CEO as one of seven tech superheroes to watch in 2015. Sugru, also known as Formerol, is a patented multi-purpose, non-slumping brand of silicone rubber that resembles modeling clay. Upon exposure to air, it cures to a rubber-like texture. Sugru is malleable when removed from its airtight, moisture-proof packaging, retains its plasticity for thirty minutes, and is self-curing at room temperature in approximately 24 hours. The material adheres to aluminium, steel, copper, ceramics, glass, fabric, brass, leather, plywood, and other materials, including ABS plastics. When cured, Sugru has a 'soft touch' or slightly flexible, grippable texture similar to features commonly found in soft overmolds. It is waterproof and dishwasher-safe, and the material is thermally insulating, with a service temperature range between −50 and 180 °C (223 and 453 K). Sugru is not resistant to isopropyl alcohol. While early versions of the product had a short shelf-life, as of 2014, it was being advertised as staying fresh for 13 months from the date it was made. According to the company, if kept in a refrigerator, the remaining shelf-life is tripled. The idea for Sugru was developed by Jane Ní Dhulchaointigh from Kilkenny, Ireland. Ní Dhulchaointigh studied product design as a post-graduate research student at the Royal College of Art, where she conceived the idea for the substance in 2003 while using mixtures of standard silicone sealants and sawdust in her work. After receiving business grants, Ní Dhulchaointigh worked with retired scientists from Dow Corning and a silicone expert over a seven-year period at the materials department at Queen Mary, University of London to develop a silicone elastomer that was moldable, self-adhesive and self-curing. Her goal was to enable people "to easily and affordably repair, improve or customise things they already own". Sugru was developed by and is marketed by FormFormForm, a company in Hackney, London, with over 100,000 customers as of 2012, annual sales of US$2 million, and a staff of 30. In May 2015, the company launched a campaign to raise £1 million (US$1350193.72) on the crowdfunding site CrowdCube. The company reached its £1 million funding target in just four days and continued on to raise well over £3 million. In December 2016, the company secured a further £4m investment from Clydesdale and Yorkshire Banks. The name Sugru derives from the Irish language word "súgradh" for "play".